The world of Sanctuary was born out of the desire for renegade demons and angels to find a place where they could be safe from the Eternal Conflict between Heaven and Hell. On that world, many kingdoms sprang into existence as the once-mighty Nephalem descendants of those angels and demons were changed by the power of the Worldstone into mere humans. Those humans spread out across the surface of the world, raising mighty empires and humble city states. Yet the Kingdom of Khanduras manages to be both a humble one and also one of critical importance. Because it was in sleepy Khanduras that the Lord of Terror, Diablo, was first imprisoned by the Horadrim, and thus it was in Khanduras that the return of the Prime Evils truly began. How did this land of farmers and fishermen even become a kingdom in the first place? 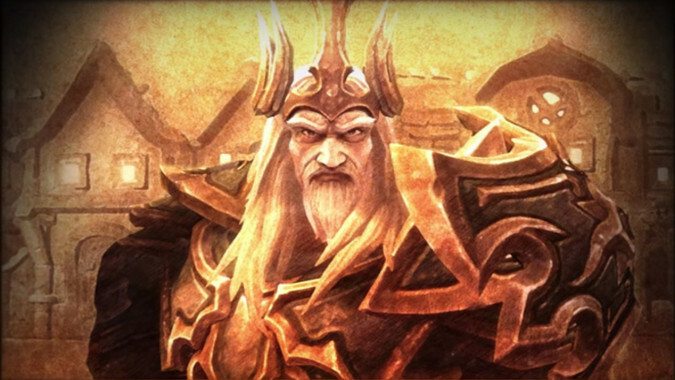 Who was Leoric before he rose to the throne? How did the Zakarum priesthood help bring about the destruction of a royal house that barely dated back a generation? For these questions, we turn to the history of Khanduras, a land the rest of Sanctuary had almost forgotten. There were many societies on the world of Sanctuary following the decision by Inarius to banish Lilith and use the Worldstone to stunt his Nephalem descendants into humanity. They rose and fell, from the barbaric children of Bul-Kathos to the north, to the secretive servants of Fiacla-Géar in distant Scosglen. The ancient Kehjan rose and formed the Mage Clans, who began summoning demons. The coming of the Sin War, the Edyrem and their battle with both the forces of Heaven and Hell, the disappearance of Ureh, and the eventual Mage Clan wars all came and went, and Khanduras remained a sparsely populated land to the west. Kehjan became Kehjistan, rejected religion due to the Sin War, then accepted it as a balm from the chaos of the Mage Clan conflicts. After the Mage Clans fought, and religion after religion began to arise in reaction to them, a man named Akarat had a vision in the distant island nation of Xiansal. This would lead to the creation of the Zakarum faith, and a calendar that would be used from then on. This date, some 2300 years after the founding of ancient Kehjan, would become known as the year zero of the Zakarum calendar. For the story of Khanduras, it’s not important whether the Angel Yaerius that Akarat saw was indeed a heavenly being or a reflection of Uldyssian’s sacrifice, as Deckard Cain and others claimed — what’s important is that the faith begun by Akarat’s vision spread far and wide. It reached mighty Kehjistan, and when the Dark Exile began the Horadrim entrusted the nascent faith with the Soulstone that contained Mephisto, which they sealed away at the base of their holiest site. While Akarat had his vision in the Year Zero of the Zakarum calendar, it took the faith 1100 years to become more than a small order. It was the Horadrim who, in entrusting the Soulstone of Mephisto to the monks of the Zakarum in Kurast, first started the order on the path to its modern state. The Zakarum priesthood grew in power in the East, but it also became decadent. In time, both Kurast and Travincal fell under the sway of Mephisto, who from his Soulstone corrupted the very heart of the Zakarum priesthood and twisted their message of inner light. Inquisitions and torture became the norm. But by then the faith had spread to the lands of the west. In Westmarch, a powerful lord named Rakkis left his native land to spread the faith (and find a lost city named Corvus, home to the ancient Nephalem), and spread it he did. 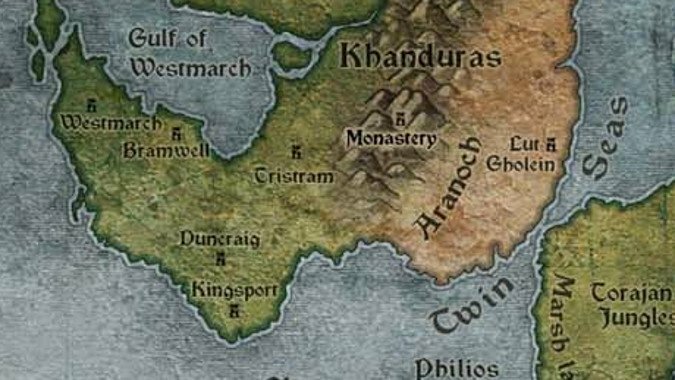 The nations of Entsteig and Khanduras both fell under the banner of the Zakarum church as Rakkis founded a kingdom, Westmarch. Khanduras was already home to an ancient Horadric monastery by this time, built a few decades before Rakkis’ arrival in the West. The armies of Rakkis founded a strong nation, although they were unsuccessful in pushing north into the lands of the children of Bul-Kathos. Still, Westmarch changed the face of the West. Khanduras had no king when Rakkis came through, and precious little need of one — it was a land of simple towns and hamlets, where people tilled the soil or otherwise wrested a living from the land and its waters. Nearly two hundred years after the foundation of Westmarch, someone decided to change all that. Khanduras was nominally part of the Zakarum faith. 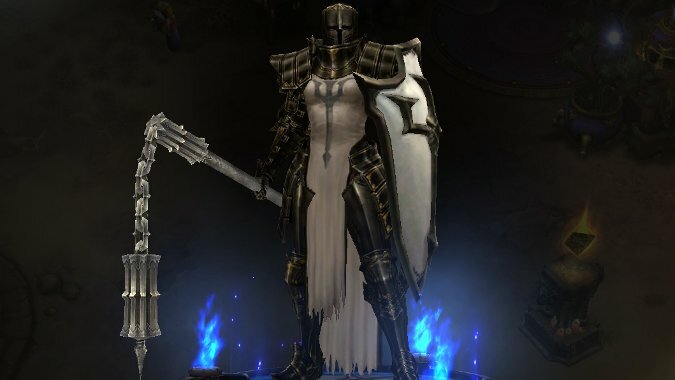 In 1258, two and a half centuries after Diablo’s defeat by the Horadrim, a Zakarum cleric named Lazarus conveyed to Leoric, a devout member of the faith and a nobleman of Kehjistan, that it was the will of the Zakarum High Council that he go to Khanduras and rule as King. Leoric followed the will of his faith and the newly vested Archbishop, and traveled to Khanduras as its self-proclaimed monarch. For their part, the people of Khanduras saw little reason to contest it — as they saw it, little was likely to change. They were unaware of the true reason Leoric was there. So, too, was Leoric. Only Lazarus knew that underneath the ancient Horadrim monastery in Tristram the Soulstone prison of Diablo lay. Influenced by Mephisto, the Zakarum had sent him there to ensure that it was found. While relations with Westmarch were strong at first — likely due to the resemblance between how Westmarch was founded and how Khanduras’ new king came to power — Lazarus’ true mission soon led to the discovery of Diablo and the attempt to possess Leoric, who descended into madness and ultimately declared war on Westmarch. 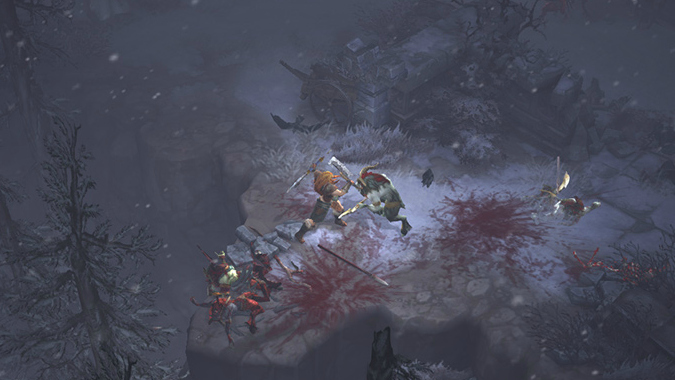 This war was disastrous, and Khanduras’ royal family was ultimately destroyed by Diablo, who attempted to use Prince Albrecht as a host before corrupting Prince Aidan after his return from the disastrous war against Westmarch. Since that time, there has been no attempt to restore the monarchy. Khanduras did fine without kings before Leoric came along, and his madness and the evil of Diablo during his reign has soured whatever fondness the people of Khanduras might have developed for being ruled. The Zakarum faith was disgraced by the excesses caused by Mephisto, and the recent troubles of the fallen star left the nation reeling, as likely did the coming of Malthael and the near destruction of all humanity. The towns, farms and wilderness of Khanduras remain, and they neither have nor seem to feel the lack of a ruler.